What is a MLM Expert? I define a MLM Expert as someone with extensive experience and knowledge in the network marketing industry. They’ve been around the block, know what they are doing and know how to be successful. In essence, there are two distinct ways to become a MLM Expert. First and foremost, you can work as a distributor for a few years and build a successful network marketing business of your own. You can learn the ropes through trial and error, and real world experience. This is the best way to become a MLM Expert as I see it. Your other option is to “study” the industry, reading all the books, eBooks, and training courses you can find, for several years. The greatest difference between these two types of experts is that one person learned by doing and has practical knowledge, while the other person studied the information and has the “theoretical” knowledge. Personally, I’d rather learn from the person with the hands on experience, rather than the theoretical knowledge. After all, the world is filled with people with book smarts, but few of these people ever apply this knowledge and achieve great results. I like to think of the college professor teaching “business” who has never owned a business before, never ran a business, and couldn’t make it in the real world if he tried (so he became a professor). If you are trying to become a MLM Expert, you can follow either of the two methods mentioned above. Ideally, I think you should combine both methods. You should build a successful network marketing business of your own and you should be a student of your business and learn everything you can about our great industry. When you use both methods, you will really have “complete” knowledge about the subject. I truly believe that anyone can become a MLM expert if they are willing to invest about 10,000 hours to learn everything they can about the industry. This is known as the 10,000 hour rule, which states that it takes about 10,000 hours to become an expert at anything. Depending upon whether you are building the business full-time or part-time, this could take you anywhere from five to twenty years. Here are a Few Real World MLM Experts that I study. What I want to do in this section is share with you what you should do if you want to become a MLM Expert. 1. Read a book a week about network marketing. Make a commitment to spend at least 20 to 30 minutes every single day, seven days a week, to read a book about the industry. If you read a book a week, you would read 52 books in a year and more than 500 network marketing books in 10 years. Think of all the knowledge you would develop if you did that! 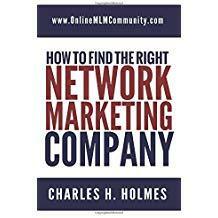 Check out my suggested reading list and check out the # 1 MLM Book of all time. 2. Attend three to five seminars per year. Try to attend a seminar or event every 90 days, or minimum three times per year. Go to all of your local, regional and national events that your company offers. Find “generic” training events in your local or regional area and attend those events as well. 3. Listen to one audio programs per day. Enroll in automobile university and replace the music on your radio with some good MLM training tapes and CDs. Last time I checked the radio never paid you a penny to listen to it. If you commute an hour a day, you could listen to hundreds of tapes a year while you drive to and from work! 4. Start a blog about network marketing. What I love about blogging is that you can share what you know, you can build a community online, you can grow your business online and create multiple streams of income. In addition, I believe that by having your own blog you are forced to learn and research things, in order to write about them. Learn how to build your business by blogging. 5. Sponsor new people into your business every month. You should ALWAYS be out in the trenches and lead by example. Make it a point to sponsor at least 2 people a month, every month, no matter what. 6. Experiment with different types of advertising and lead generation. Another smart thing to do is try out different advertising strategies. Find different ways to generate leads. Find out what works well and what is a waste of time. Keep track of what’s working and share what you learn with your team. 7. Host training for your team (calls, live events and webinars). Try to do at least one training call a week for your team. Do some of the training yourself and also give other people the opportunity to teach what they know. You should also listen to your upline’s call whenever possible. Attend events at least once a month, watch a webinar every month, and listen in on two to three calls per week. 8. Rub elbows with successful distributors inside and outside of your company. One of the best things you can do is find a mentor in your upline and join or develop your own mastermind group. Get around other movers and shakers in your organization. Share what’s working in the business and help each other achieve success. 9. Write about the industry. Back in the day, I hated writing. During the past few years I’ve learned that writing is a great way to learn new skills and share what you know. I’ve committed to writing at least one article a day about network marketing. This has influenced me to do lots of research, all which helped me learn new skills. 10. Create your own network marketing training programs. As you learn new skills, consider creating your own training programs. Whenever I create a program I share what I know and I do lots of research to learn new skills to talk about on the program. You can sell these programs for a profit and you can give/share them with your team. ***** Once again, these are just 10 simple things you can do to become an MLM Expert within a few short years. It’s also important to remember that experts always make more money than amateurs. So, if you are really serious about this industry, you should commit a few years of your life to learn everything you can about our industry. The rewards will be worth the sacrifice. In summary, a MLM Expert is someone with extensive knowledge about the network marketing industry. All experts acquire their knowledge one of two ways. They either become experts by doing the hands on work, or they spend their time developing theoretical knowledge by studying the industry. If you want to make the big bucks in our industry, you should do a combination of both methods (but focus on the hands on). Who are your favorite MLM Experts? Really great list of tips that are practical to implement and apply. I think anyone in MLM has an underlying desire to be an expert. We long to be able to share our wisdom and success with others and are often times overwhelmed at the idea of trying to reach that goal. However, these suggestions make the goal seem much more attainable and these are tips that you can share with your team so everyone is on the same path. I think anyone with the desire to make a career out of MLM should strive to become an expert. It won’t happen overnight, but it’s a good goal to shoot for. Become an expert on your company, its products and the network marketing industry. I think that it is best to have hands on experience. But I also believe that you can share what you learn as you go along. If you find that you do something really well in your MLM business you are an expert in that particular area and you can be an asset to another. You can also keep learning via books and trainings apply them and share your experiences via YouTube or blogs. You will never know everything but you can market what you do know without hesitation. Focus on what you know and are good at and let those skills help position you as an expert. It occurred to me to wonder if a wife and mother would have the same ability or freedom to devote as much time, effort and resources to the techniques that have made you successful and that you recommend. I don’t say that as a complaint or whining but its a matter of realism. And I can’t complain. I’ve been successful in a male-dominated field (it did take extra work). People always have the time to do things that are important to them. Anyone could set aside an hour a day by waking up earlier, staying up later, working during lunch, etc. When you want something bad enough you make time. Good point. I don’t like “know-it-alls” myself. I would rather learn from someone in the trenches who has made mistakes and tested everything they are teaching me. Sometimes an idea sounds good on paper, but unless it’s actually been tested and tried, it’s not proven! I don’t think anyone can really be an expert if they haven’t accomplished what they are teaching themselves. There is a huge difference between theoretical knowledge and applied knowledge. Just because you are book smart does not mean you are capable of doing what you are teaching. I always tell folks to be careful who you listen to because you might end up just like them. Good point, Jay. Just because you know how to do something on paper doesn’t mean you can do it in real life. At the end of the day I would rather learn from someone who has been there and done that. If you want to become an expert at MLM, or anything else, get serious about it and be a student of it for a few years. You will be amazed at how quickly you will learn, if you focus and persevere. Focus and perseverance are really important if you want to master a skill. Good things take time. Just hanging in there and being persistent is more than half the battle. If you want to become an expert at anything all you have to do is be willing to invest an hour a day to study something for a three to four year period of time. This pertains to network marketing or anything else. I think that if you studied something an hour a day, seven days a week, for a few years, you would have immense knowledge on that specific subject. You would learn even more if you combined that studying with APPLYING what you learned. I think if you do anything long enough you can become an expert at it. But you can’t just repeat the same motions over and over. You need to constantly learn new things. You need to read, listen to tapes, attend seminars, have mentors and most importantly APPLY what you learn. The best way to learn is to roll up your sleeves and get to work. You can study and prepare until the cows come home, but if you never put it into practice, you will know nothing but a bunch of theory. Good points, Danielle. Keep learning, but never forget to apply what you learn. That sounds like a good recipe to become an expert. Danielle, I agree that you cannot keep going through the same motions over and over. Your points about developing knowledge and skills, as well as applying what you have learned, is precisely what people need to do. I would also add that evaluating what you are doing, noting things done well and opportunities for improvement, is an integral part of the development process as well. I’ve really improved my network marketing skills by participating in mastermind teams. I listen to conference calls at least once a week. The information I have learned is very helpful. I’m by no means and expert yet, but I’ve learned a lot during this past year, my first full year in the business. Mastermind teams are definitely a great way to become an expert and develop your network marketing skills. I participate in a few calls each month myself. I think the best way to become an MLM Expert is to enroll in “auto university.” Listen to a tape or CD every time you are in your car. If you do that to and from work, or at least for one hour a day, you can become an expert within a year or two. Enrolling in “auto university” is definitely a great way to learn new skills and become an expert. That’s how I learned a lot during my first few years in the industry. The best part is that it’s a passive activity. It doesn’t take up any more of your time. Since you’re driving anyway, why not listen to something that will teach you new skills and make you better? I never got paid to listen to the radio before. Personally, I think it’s hard to consider someone an expert who hasn’t actually done it themselves, but that’s just my opinion. If I had to pick between two of your methods Chuck, I think the best method would be to become an MLM Expert by actually doing the work. Good point, Scott. I agree that the best way to become an MLM Expert is by doing the work. However, there are other legitimate ways too. The best experts are people who have done what they are teaching. If you want to become an expert in the MLM Industry, role up your sleeves and do the work. Work your business day in and day out for a few years and you will become an expert. That is the only way to do it as I see it. I think that is great advice Jason. Yes, reading, listening to tapes and all of those other things are important. But nothing beats learning by doing. You will learn more by doing that you will ever get from a book. Real world experience is the best teacher. I think your tips provide a good balance between continuous learning and reinforcing by reteaching and applying. It’s interesting to crosswalk various experts and their material, for common information will exist in all of them, which people should really pay attention to. They each have some differences as well, and it will take some time to settle into what works for each individual. In the meantime, there are some awesome role models out there–no reason to not be absorbing everything they share. I always tell folks to learn my doing. Duplicate what someone successful did. Learn from your mistakes as you go and make sure you read, listen to tapes and go to seminars. All of these additional training will enhance your real world experience.